Plex playback in Firefox can be a problem. It stops and starts, stutters or doesn't play at all. Here's how to fix that. First the Plex media server doesn't decide what the Transcode parameters will be for a stream, that is decided by the Player that requests a stream. 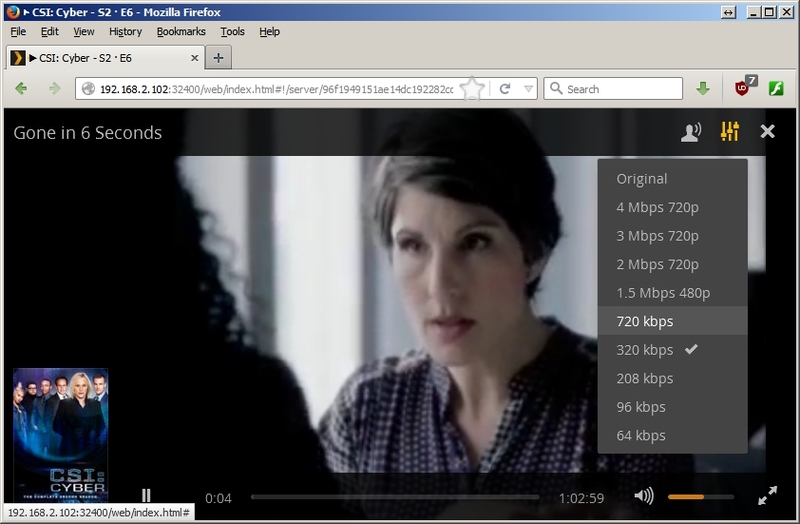 If you are using the default Player type for Firefox 41.0.1 that will be a Flash media player. That browser plugin does not allow changing any parameters for the stream request, it is hard coded. 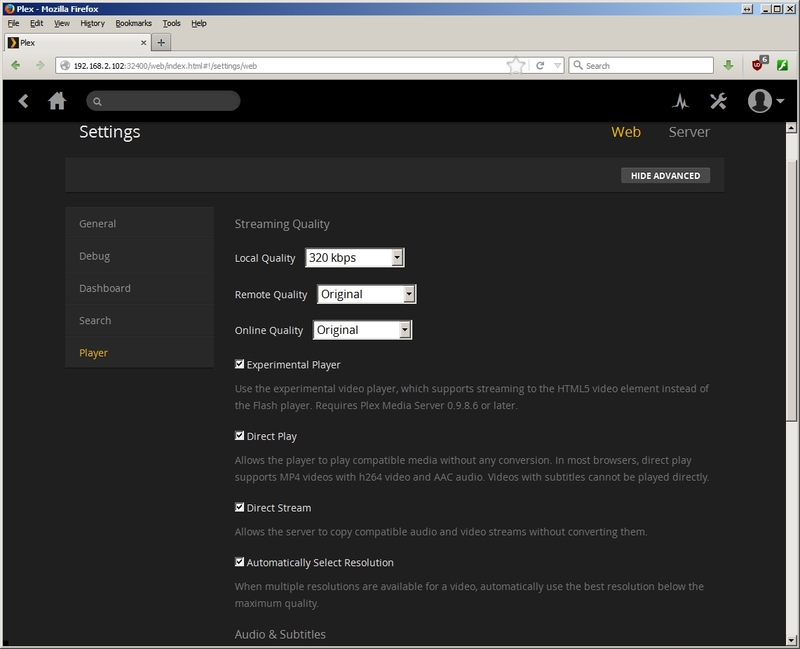 Google Chrome however defaults to the HTML5 player and gives you control over the stream parameters. This can be important if either the network bandwidth is over WiFi, the Plex server isn't up to the task of Transcoding at the bitrate requested or for any other reasons that a sustained high speed connection cannot be maintained. 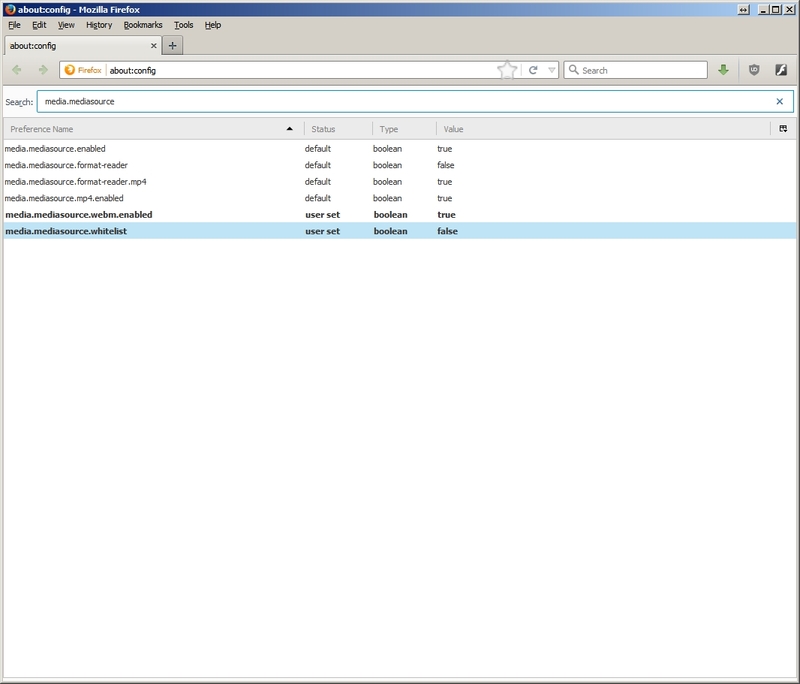 Firefox does have the ability to playback using HTML5 but it must be manually configured to prefer it over the flash media player. First go to about:config in Firefox and tap (dbl click) the media.mediasource.whitelist Preference to set that to "false", then tap (dbl click) the media.mediasource.webm.enabled Preference to set it to "true". Go to your plex media server and pick a video to play and start to play it. Depending on many things you "may" have to kickstart the play while buffering by tapping on the "orange buffer ring". The default "may" be Transcoded at the Original contents bit rate.. which "may" be too high for your Plex media server to transcode to a compatible format, or the network may not be able to sustain the bit rate.. or your browser host computer may not be able to "sustain" a smooth playback. Click the "equalizer" control icon in the upper right corner and pick some absurdly "low" bit rate.. such as 320 kbps. It is better to set the player to start at really low speeds and experiment to work your way back up for higher resolutions. Note: When starting a new session at a different bitrate the Plex server will have to buffer the content at that new bitrate and "catchup" to where it was in order to "resume" the playback at a different bitrate.. the result can be while "testing" different bitrates the time to "restart" can seem inordinately long.. be patient and let it complete the bitrate transition. Once you have profiled and selected a "stable and sustainable" client bit rate it will remember it and all your playbacks going forward will begin at the new bitrate and won't take as long to start. The effort will be worth the smooth and seamless playback experience henceforth. The brower will still "Scale" the content as the window is resized with whatever resolution the HTML5 media player is capable of producing from the stream.. at worst you'll get a "softened" slightly blurred effect that will probably improve with time or become generally unnoticable. If your likely to resize the window to a smaller "postage stamp" or "rearview" window size on your desktop while conducting other work the stream will appear crisp and clear and the lower resolution and bitrate will be completely unnoticable. 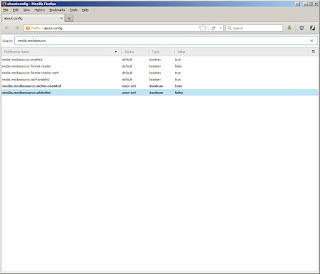 Notice all the other controls the HTML5 media player also provides you with. The "impersona" icon allows you to select AAC or alternative sound tracks, pause, linear playback position control, sound and full screen controls are all available. Finally you may wish to configure your Plex Media Web server/Player to make the Experimental HTML5 video player available, and Direct Play and Direct Stream without Transcoding if the media player knows how to handle the native video media/recorder formats. Which drives to the next Tip! The CoryKim EyeTV3 -- Export to Plex -- scripts from Github have been updated to support "No Trancoding" before moving them from EyeTV to the Plex media Archive for serving. The initial reason is the next generation of SiliconDust HDHomeRun digital tuners now come with the option to encode the streams they are fetching over the airwaves as h.264 "natively". But even if you don't have a new HDHomeRun digital tuner, disabling encoding on the Plex side means recorded shows will become available immediately after they are recorded from your Plex server and will be deleted from the EyeTV recordings folder. This is a big benefit if you just can't always wait, and you happen to be constrained on disk space or CPU capacity on the Plex server.. its especially useful on NAS class Plex servers with ARM processors or something low power. Of course if the native format from the broadcasters is incompatible with the player.. it will still have to be transcoded before playing "on the fly" but if you are using the HTML5 player and can select a lower resolution image.. the CPU/network load will be low enough to make playback more than tolerable with very little effort on your part.